Beautiful Glass Locket Necklace with Engraved Charm. £19.99 including Free Delivery to UK addresses. 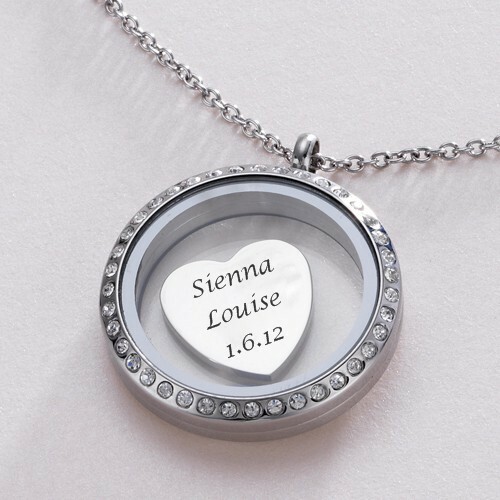 Choose either a heart or disc charm with Free engraving. Additional charms may be purchased. Featuring magnetic closure for secure but easy opening and closing of the locket. « Birthstone Bracelet for Naming Day.